The Dutch elections on 15 March are being seen as the first milestone in 2017's super election year in Europe, at least when not counting the 3 March elections for the Northern Ireland assembly. 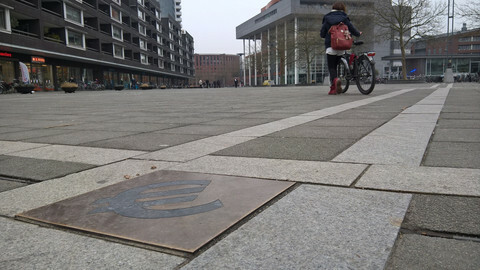 The European Commission said this week the series of elections in the Netherlands, France, Germany, Czech Republic, Bulgaria and possibly Italy are one of the factors that will influence the EU's economic prospects, but they will also be a string of indicators for those wanting to know how popular the EU still is. 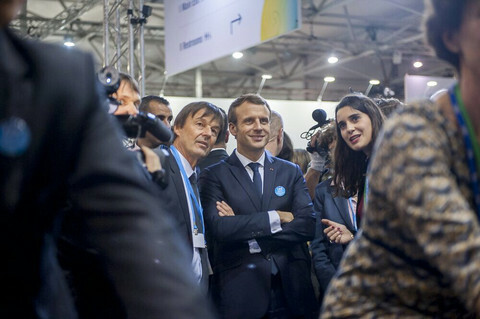 Unlike the French and German elections that follow, those hoping to find proof of the EU's coming demise, or of its promising future, in the Dutch results, will find it a bit more difficult. In France it will be relatively simple to measure euroscepticism: National Front candidate Marine Le Pen either does, or does not, win the first, and then second round of presidential election in April and May. In Germany, all eyes are on whether the pro-EU centre-right chancellor Angela Merkel will continue her rule, or whether she will cede to her centre-left contender, former president of the European Parliament Martin Schulz. The anti-EU barometer will colour red or green depending on the number of votes cast for the Alternative for Germany (AfD) party. The Dutch results will not yield such a clear-cut picture, because there is a plethora of parties involved, and much will depend on the outcome of coalition talks after the vote. EUobserver is instead highlighting some of the peculiarities of the election of the Lower House of the Dutch parliament, presenting the most important parties involved, and telling you what to watch out for. One important feature of the Dutch electoral system of proportional representation, where receiving 0.7 percent of the vote can be enough to enter the Lower House, is the multitude of parties. On 15 March, 28 different political parties will be running. Since the end of World War II, seats have been divided among at least seven parties, with 11 parties winning seats in the previous election, in 2012. However, in the past four years, eight MPs have left to form six new factions, many of whom are now also running in the hope of getting elected on their own strength. It is no surprise that with so many parties, Dutch voters seek any help they can get to make up their mind. Online tools that compare political positions of the parties are popular: in 2012, 4.85 million people used Stemwijzer, the most well-known website offering such a service. 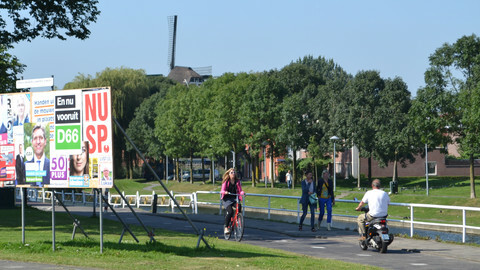 The Netherlands has a population of 17 million, with 12.9 million eligible to vote. The multitude of parties, and the fact that many do not differ much in size, also offers some organisational problems, for instance: who do you invite for election debates? TV broadcaster RTL had wanted to organise a debate with the leaders of the four largest political parties according to an average of six polls. 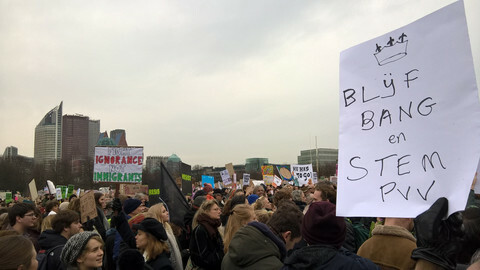 But on Sunday, it decided to invite five: the numbers three and four were so closely trailed by the number five, that RTL thought it would be unfair to exclude the latter. The two frontrunners, anti-EU MP Geert Wilders and then centre-right prime minister Mark Rutte decided to cancel. They said a debate with five leaders was against the original agreement, but other motives may also have played a role. Political commentators have suggested that Wilders and Rutte, who in the current polls are competing for the top spot, would not want to give other politicians the platform to attack them. The affair initially led RTL to cancel the debate altogether, but then it decided to go ahead without them. Another important feature is that the Netherlands is a country of coalitions. There has never been a party that received an absolute majority of votes, so Wilders, who wants to become prime minister, would need coalition partners. All traditional parties, including Rutte's, have said they would not enter in a coalition government with Wilders. That does not mean it that it will not happen. 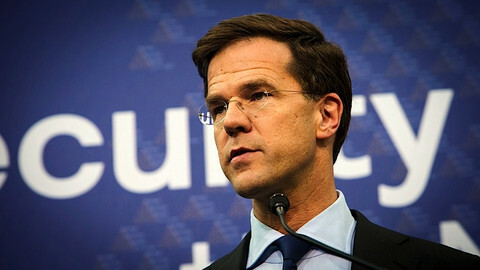 In 2012, Rutte and his centre-left opponent Diederik Samsom had framed the election campaign as if it was a two-way choice between them as prime minister. This has led to voters casting strategic votes according to which of them they would want to have as prime minister. According to a inquiry by the Volkskrant newspaper, even traditionally left-wing voters are now considering to vote for Rutte to prevent a Wilders becoming PM. If the two draw away many votes from other parties, they could become so large that working together becomes inevitable - a repeat of the 2012 scenario. While the largest party has traditionally been given the time to form a majority government, it is also not unprecedented that the party that comes out the winner ends up being left out in the cold. In 1977, the centre-left Labour party came out of the elections triumphant, but the numbers two and three formed a coalition. Of course, those were days in which two parties would have enough seats to form a majority. If the current polls are anything to go by, it may take four or more parties to achieve a coalition. It also means that smaller parties may play the role of kingmakers. 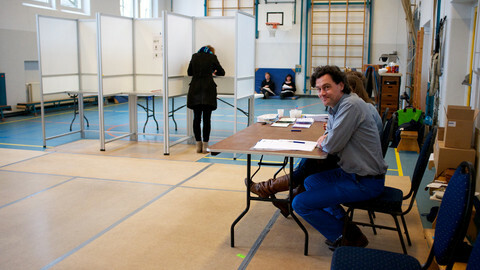 On 15 March, the Netherlands will have parliamentary elections. In the southern province Limburg, some expressed very different views on EU membership. The Netherlands has banned voting computers since 2009, but a report this week about the vulnerability of software used to count the votes led to a quick decision to ban that too. 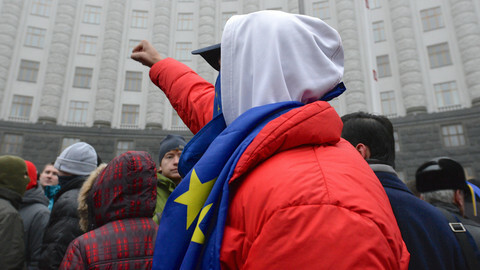 Polls suggest that four or five parties will be needed to form a majority after the 15 March vote. The shrunk size of the establishment parties means that smaller parties may play a role of kingmaker. The ratification looks like getting a majority in a vote on Thursday, despite the people rejecting the deal in a referendum last April.